Want to communicate with your Department better, on the go, and without them having to sift through hundreds of emails? Try ZAP and build a department app to deliver your critical messages to your audiences directly on their mobile devices. 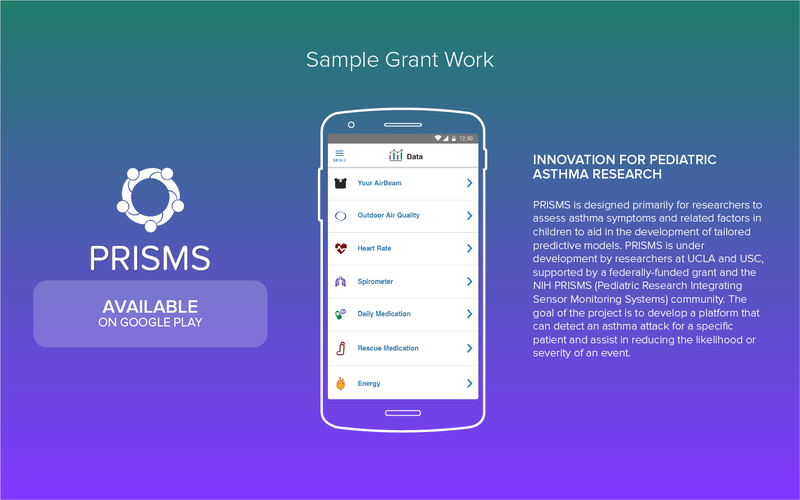 Want to use an app to collect research data for your project, write us into your grants, we have worked with PIs on NIH, NSF and VA grants! 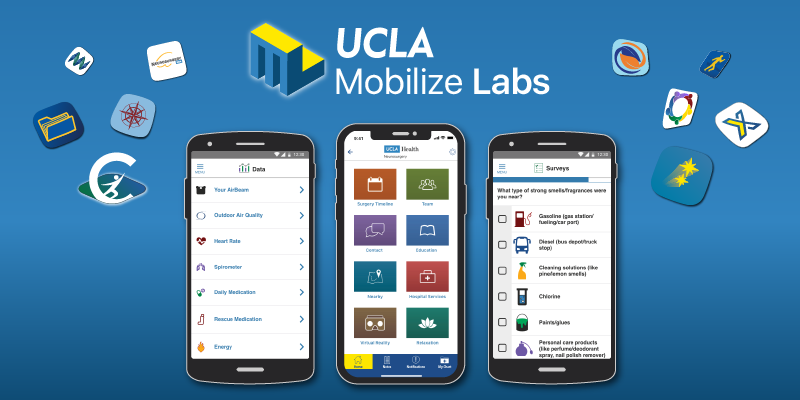 Have other ideas you want to try, get in touch at MOBILIZELABS@oit.ucla.edu. OIT’s Mobilize Labs team has partnered with many researchers at UCLA and has experience working on NSF, NIH and VA grants. The apps we build feature mobile data collection, Ecological Momentary Assessment (or EMA) delivery of survey instruments at scheduled and random times. We have integrated wearable devices, several different Bluetooth devices, Air quality sensors as well as many others. We have extensive experience developing suppression algorithms so as to not over burden research participants. 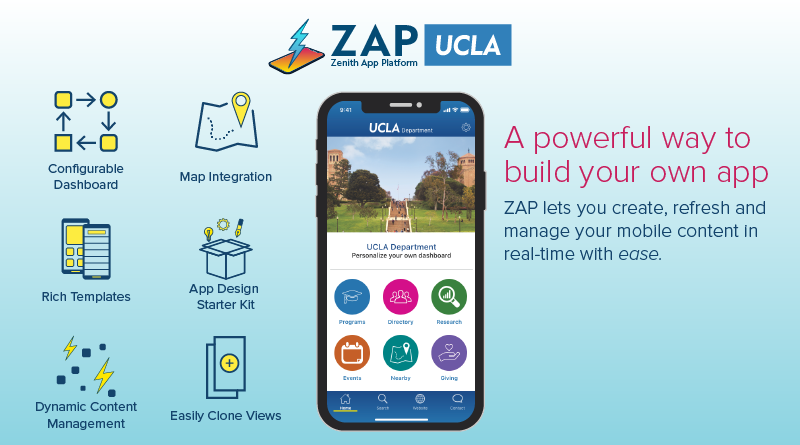 Let us know if you want to learn more at mobilizelabs@oit.ucla.edu.